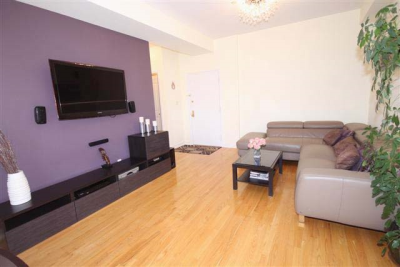 Move-in condition 2-bedroom/2-bathrooms Condo in highly desirable Midwood area. Very quiet unit in elevator building. Features: Brazilian cherry wood floors, gorgeous kitchen with window, stainless steel appliances, granite counter top, Large inviting terrace off living room. Laundry room in unit. Modern lighting, custom closets, Separate rooms, storage in basement. Parking included. Tax abated. Close to public transport, dining and places of worship. Kings hwy B&Q train. Call 718-496-9400 for a private showing.